Are you carrying out a search for Kentucky based publishing houses? 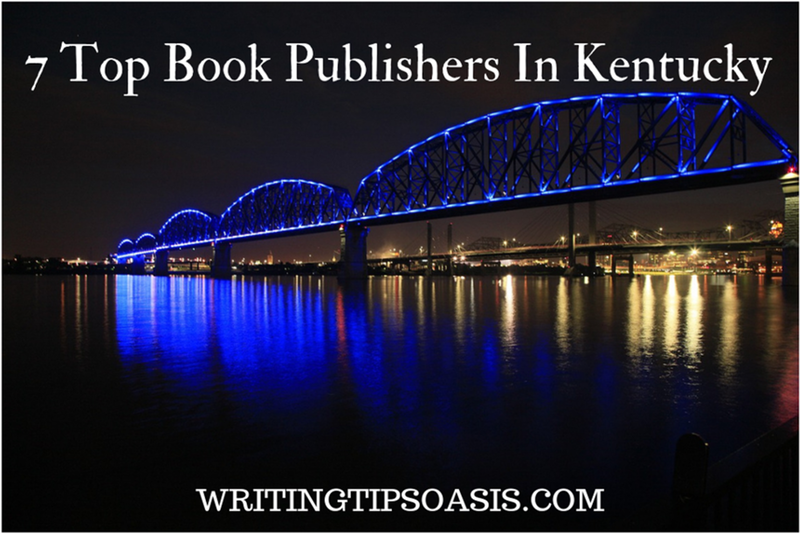 Below you’ll find 7 top book publishers in Kentucky. Martin Sisters Publishing Company is named after the formidable literary duo that formed it. It is an independent publishing company that has managed to curve out a niche for itself in Barbourville, Kentucky. Their dedication to quality and publishing the best ensures that your work of genius gets the treatment it truly deserves. This company is the very definition of the statement Jack of all trades when it comes to genres commonly published. They cover everything from fiction and non-fiction to Christian-based books and inspirational literature. The company is currently accepting manuscript submissions from authors all over the country. Here is a link to the website’s page with more information on how to go about this process. It is important, however, to note that though the company covers a wide variety of genres, they have restrictions on what you can and cannot submit. These are also covered in detail on the submission guidelines landing page. Based in Lexington, Kentucky, FutureCycle Press was formed in 2007 by Diane Kistner and Robert S. King. Before starting the company, the two worked for a few years together as editors in the Lexington area. The company is well known state over for their focus on publishing contemporary English-language poetry books and chapbooks. This includes everything from single author anthologies to collections from different poets. They are currently not accepting submissions and do not plan to do so until around January 2019. Sarabande is one of the oldest and most popular publishing companies in Louisville, Kentucky it was founded in 1994 by Sarah Gorham and Jeffrey Skinner. Initially, the company focused on publishing poetry, short fiction, and essays. However, they have expanded their scope to other genres throughout the years to accommodate the dynamic literary scene in Kentucky. Much as the company allows manuscripts from a wide variety of themes and genres, they have managed to establish themselves as an authority when it comes to poetry collections and short fiction. This is mainly due to experience as the company was actually started with these in mind. There is a current call for submissions from the company for the Flo Gault Student Poetry Prize for Kentucky Undergraduates. This company stands out as it is one of the few non-profit publishing companies not only in Kentucky but in the country. It also doubles up as an academic press operating from the Louisville area. There isn’t much available information on year founded and the pioneers. Something else that makes the company stand out is their focus genre. They publish scholarly works with heavy spiritual themes. They accept books from different faiths including Christianity and Islam. No submissions instructions could be found from their website. However, here is a style guide that stipulates not only what is expected but also what is acceptable for submission. Apex Book Company is another one that has been on the block for a while having been started in 2004. It was founded by Jason Sizemore and is based in the Lexington area of Kentucky. This company’s focus in mainly on works of fiction and fantasy with a dark twist. This includes horror novels, mysteries and sci-fi stories. Due to the high demand for the company’s services, they only accept a few manuscripts per year. They closed the 2018 slot on 31st January. However, here is a link to the site’s guidelines so you know where to start when they release their next call for submissions. This is by far the longest running publishing company in all of Kentucky. It was founded in 1989 by the late Bill Butler and his wife Carol Butler who currently serves as the CEO. It is based in Louisville. The company focuses a lot on child literature and illustrated works. They also publish fiction and trade non-fiction books. No manuscript submissions instructions were found on the website. The company was founded in 2003 and is based in Bowling Green, Kentucky. Steel Toe Books, whose Director is Tom C. Hunley, has been for a long time associated with the Western Kentucky University’s literature department. This is a powerful connection that writers definitely stand to gain a lot from. The company’s main focus is on publishing chap books and poetry anthologies. They are currently not accepting unsolicited manuscripts. Do you know any other book publishers in Kentucky? Please tell us about them in the comments box below! Hiten Vyas is the Founder and Managing Editor of Writing Tips Oasis.